I had heard many good things about the Duchess when it came to the foodie conversations in and around Edmonton. Try as I might, it took me months to finally make the trek to the infamous bakery. Surprisingly there were seats! My foodie connections had said that the Duchess was often packed and hard to find a place to enjoy your treat. Looking at the variety of pastries and treats that the Duchess has to offer, and it being my first time there – this was a very difficult decision to make. The staff behind the counter are very helpful with explaining what the different items contain. 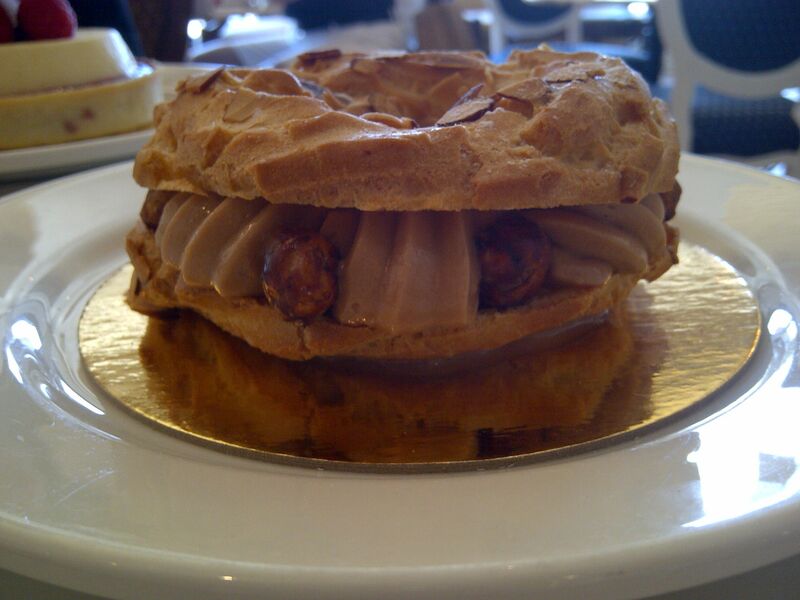 I am not going to lie – it was a little un-nerving asking for a “Paris-Brest”. The gentleman serving me must have noticed my discomfort and explained to me that the pastry represented a wreath that was won for a race between Paris and Brest. First developed in 1891 in commemoration of a bicycle race between the cities of Paris and Brest, this pastry is a circle of choux pastry filled with a hazelnut mousseline, studded with candied whole hazelnuts and topped with slivered almonds. I am a HUGE bacon fanatic. Wild boar bacon is the creme de la creme of the bacon world. There was no other choice in the case for breakfast after I spied this lovely number. Tartinade is: “a soft food mixture or spread, either savoury or sweet”. 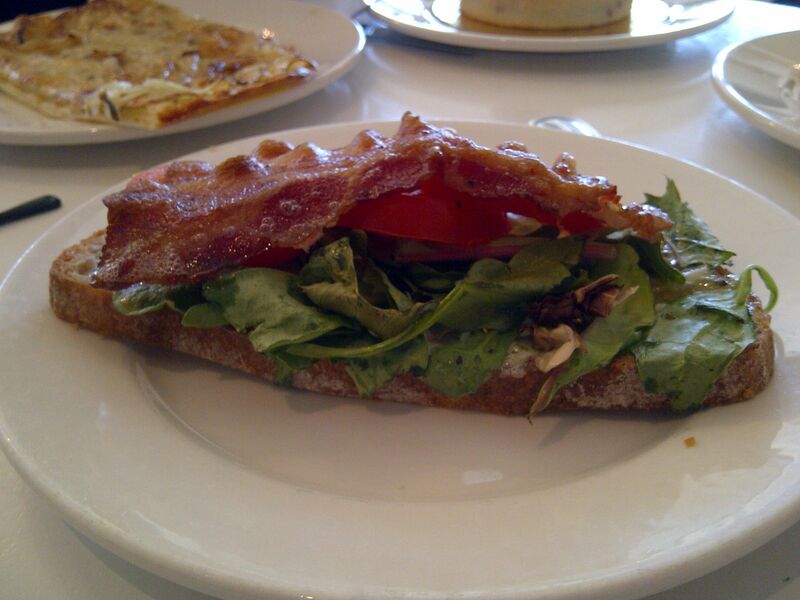 This is the Duchess’ version of the “BLT”. It starts with a nice piece of rye bread. On this is spread the Tartinade. I am not sure what the spread contained but it was delicious. This is topped with fresh spinach, mushrooms and a tomato slice. The crowning glory of course is the Wild Boar Bacon to top it all off. Overall the Duchess was a wonderful experience and we will be back to try more!